Today, I have my second installment of DOTS!! This time I decided to do some fun with jewels and colors. 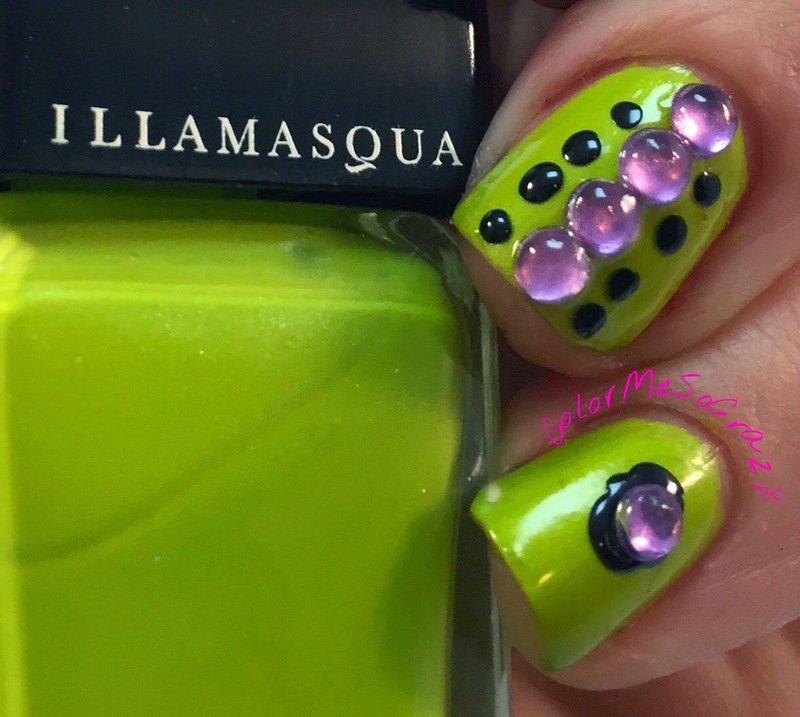 I love, love Illamsqua and I forgot how much I love their polish because I never use it. 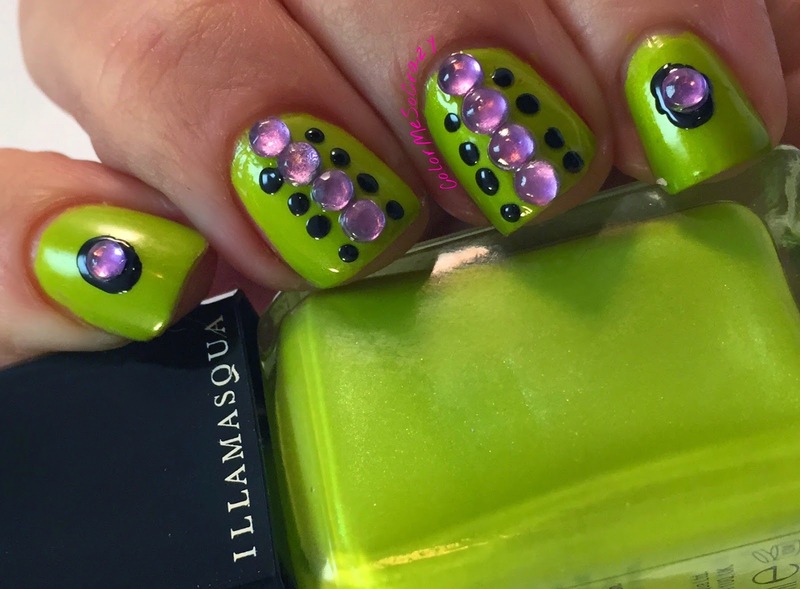 This color combination is super fun even though I am not a huge fan of green. 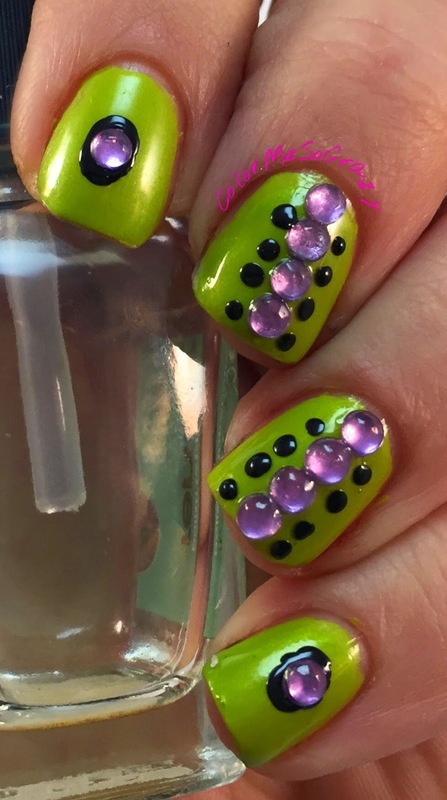 For some reason, black, lime green and purple just go together. 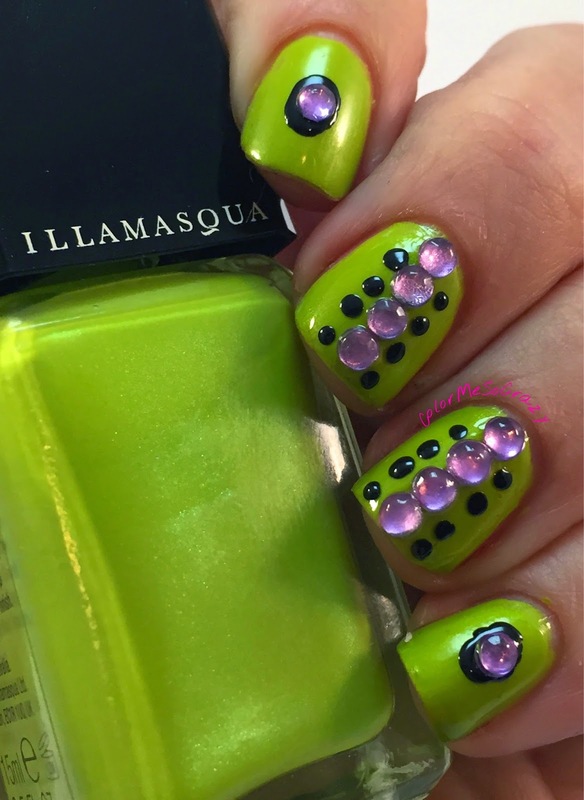 I used the jewels to make a pattern of dots and then just dotted with the dotting tool in between to pull the full look together. There is a slight shimmer in the Illamasqua that was super hard to capture and you can kind of see it above, but it is really pretty. I am definitely going to return to the Holiday theme next week but I think I needed a little break. I am on Holiday overload! !